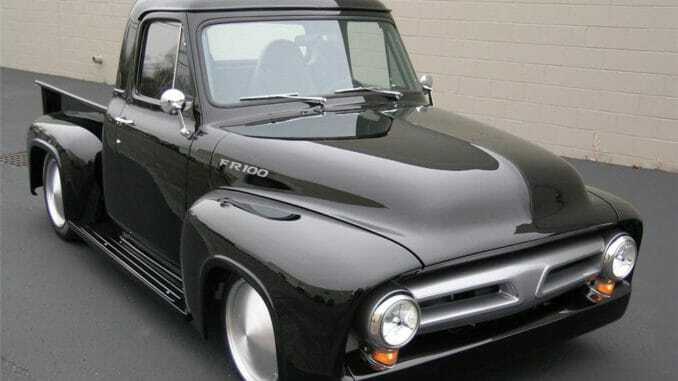 This Ford is an older restoration that was built from the ground up and features Ford Racing’s 5.0-liter V8 Cammer crate engine. 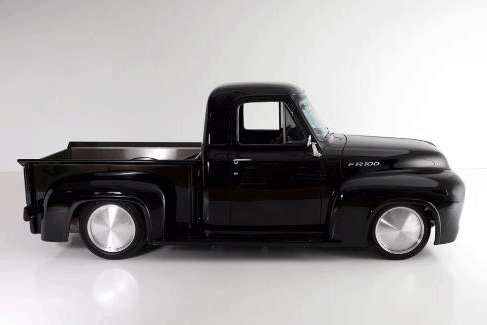 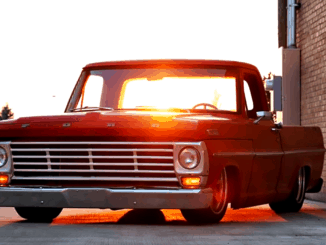 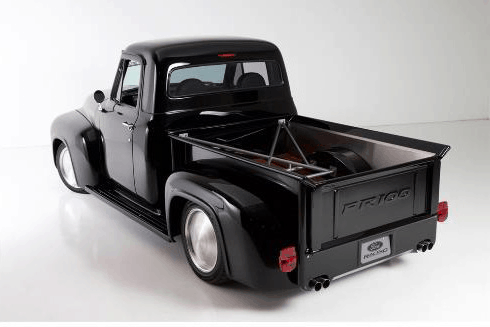 Built to commemorate it’s 50th anniversary, this 1953 F-100 is the result of a collaboration between Ford Racing Technology and McLaren Performance. 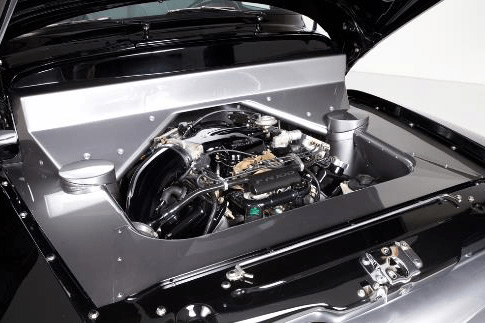 Extensive body modifications were incorporated, along with a list of performance updates. 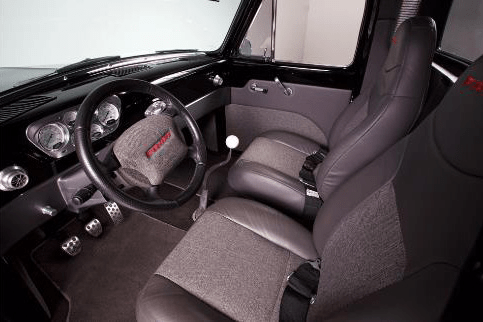 Every major panel, except the hood and doors, was extensively altered, including extending the cab 6″ and shortening the bed. 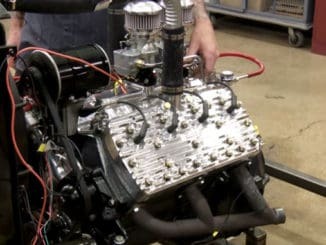 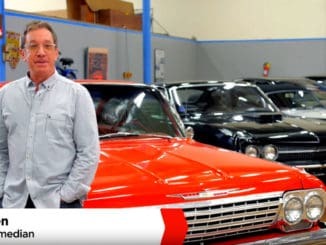 Backing the Cammer engine are custom headers and a dual-exhaust system with two catalysts, a Cobra radiator, a Tremec T56 6-speed manual transmission with a prototype Ford Racing and Centerforce clutch and a custom aluminum-metal matrix driveshaft. 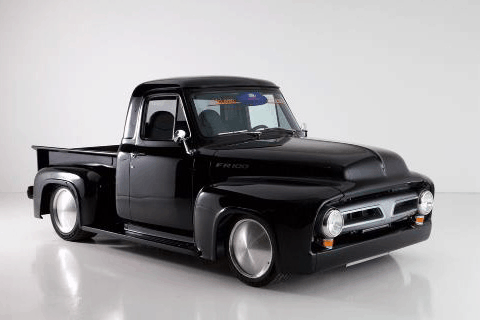 Brembo disc brakes were added at each corner to stop the Goodyear F1 Supercar tires mounted on 18″ BBS wheels.